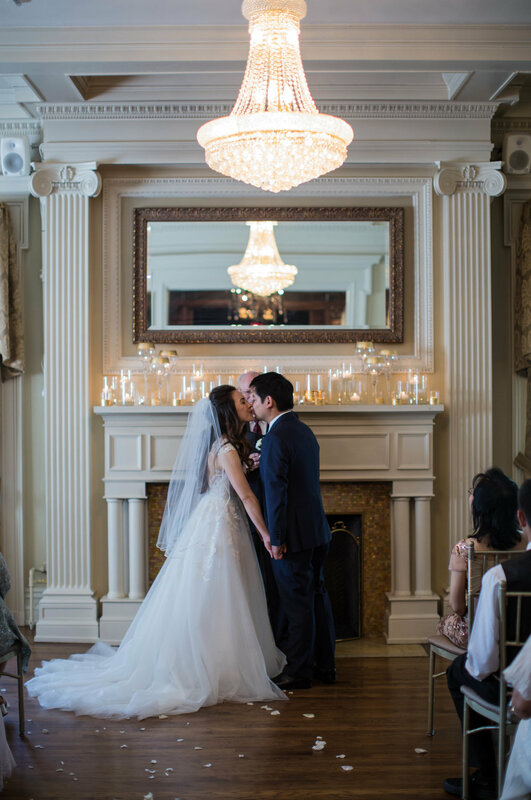 Esther and Richard were married in a quaint and elegant ceremony with a reception following, all at Loose Mansion. They really wanted a simple, traditional, and elegant wedding that reflected their personalities. Post ceremony, the bride and groom finished their family photos and took a few couple photos before they joined their guests for dinner and dancing! They danced the night away - dance circles included - and then ended the night in the Loose Mansion cottage with their closest friends while singing Karaoke. It was the perfect end to their evening!